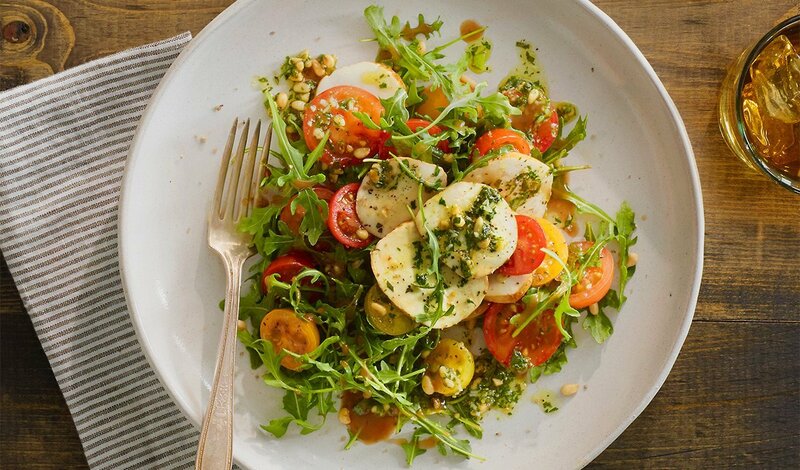 A new twist on a classic combines smoked fresh mozzarella with heirloom cherry tomatoes and arugula, drizzled with pesto and Hellmann’s® Balsamic Vinaigrette, and seasoned with black pepper and smoked salt. Combine dressing, tomatoes, and arugula, toss until evenly coated. Drizzle with pesto and top with remaining ingredients.